The Landscaping of your business is a key investment. For our clients at Big Creek Landscaping, we know that they depend on us as a partner that will keep a clean and professional business appearance, adding colorful blooming plants seasonally and ensuring that shrubs are trimmed and the lawn areas are free of leaves and debris. A well mowed lawn is a given. While we tend to think of Landscaping as seasonal work with a need to mow and put in annual blooming plants, Big Creek Landscaping provides services that take place throughout the year. Mowing – Mowing the grass is just the beginning of what a mowing contract should include. Your lawn areas also require fertilizing and edging as well as trimming of shrubs. Mulching – Beds look nicer with mulch. The colors, depth and type of mulch material can make a difference in more than the appearance of the beds. Big Creek Landscaping can help guide you on decisions about what to use and even what colors of mulch might work best for your property. Leaf Removal – The task of the fall is most certainly the leaves! Big Creek Landscaping will remove the fallen leaves to keep your lawn areas free of debris. 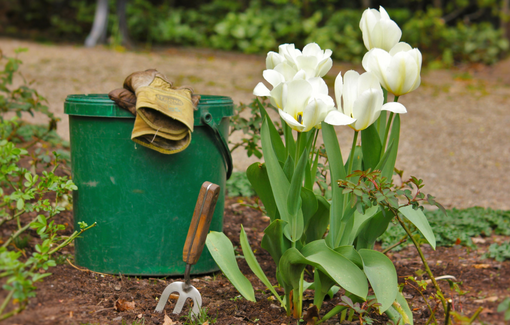 Fertilizing – Grass should be fertilized a few times a year. However, too much fertilization can harm a lawn. Big Creek Landscaping will help you understand the balance for how much, what type and when the right time to fertilize. Aeration – Lawns should be aerated twice a year. This typically happens in the fall and spring seasons. Small plugs of the lawn will be pulled to allow to allow fertilizer, air and water to better reach the root system of the lawn. Weed and Pest Control – Using manual and chemical approaches, Big Creek Landscaping will work to maintain a healthy environment in your landscape. Knowing that irrigation plays a part in both weed and pest development, Big Creek Landscaping will install and/or maintain and manage the irrigation needs for your plants. 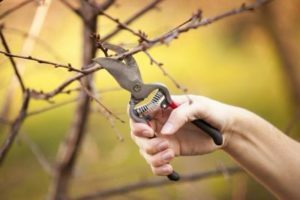 Pruning and Trimming – Not only does the maintenance of pruning and trimming your lawn area improve the overall appearance, there are also times when these activities have a bearing on Risk Management and potential legal issues. General Services – Big Creek Landscaping maintain flower beds with seasonal colorful plants, remove debris as needed and general sprucing up of the property following storm and other natural events. At Big Creek Landscaping we are happy to meet with you for a free estimate for what your property needs and/or to plan with you for your property’s Landscaping needs.